HawkEye comprises the most versatile audio measuring instruments in one toolset. 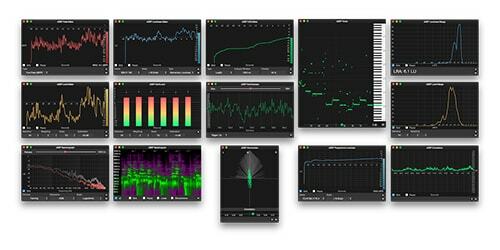 It has been developed with the highest precision in mind to set a new standard in audio analyzing. 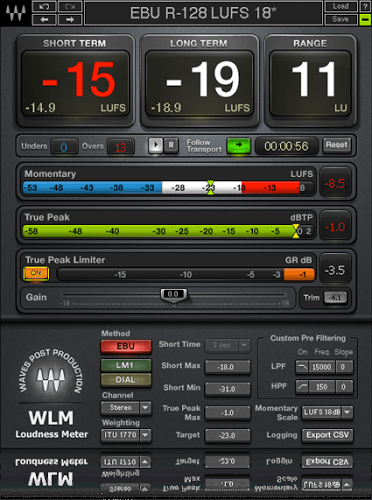 Unique features like bit-depth analysis and high-frequency monitoring offer a new window into the world of high-resolution audio recordings. The user experience follows aviation industry guidelines for designing cockpit instruments. Therefore, HawkEye presents all information uncluttered, minimizing eyestrain over extended periods of use. HawkEye's main view shows all measurement instruments within a single window, yet this is only one mode of operation. To be as flexible as possible any instrument can be undocked in its own resizable window by a simple double-click, and then freely arranged on your screen!